I'm still chilling in this amazing Santa Monica home probably for another week til my car situation gets resolved. 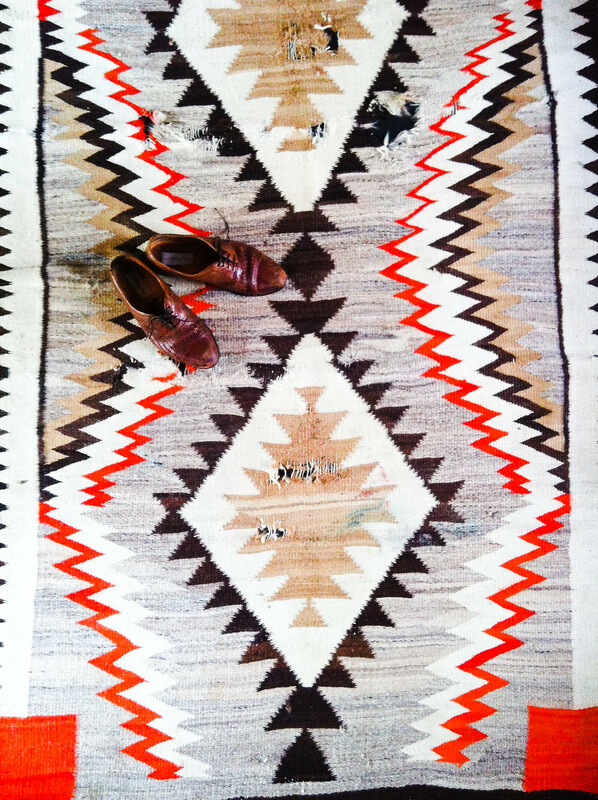 I'm so obsessed with all the navajo rugs here. Here's one that didn't make it to the tour. Love how chewed up it is.